What is it? If the year 2016 hasn’t been apocalyptic enough for you, then Zombie 15 is the perfect cherry on top. The world is chaotic and everyone above the age of 18 has been infected. It is up to you and your pubescent friends to fight through the zombie horde in order to find a cure and save the world. Who’da thought that the world would be saved by millennials? The dark side of the CBQ Force has seduced another acolyte into the fold (even though I’ve always thought of Stuart more as the Jar Jar of the CBQ Team), please afford a deferential welcome to our newest contributor, Andrea Hayes! Andrea is a game designer and has just finished her degree in Game Design at Wits. She’s also a part time software developer and is hoping to do her Masters in gender in games next year. She often participates in game jams both local and international, and loves to write and play board games, and then write about the games she’s played! You can follow her on Facebook and Twitter. Zombie 15 is real-time fighting game that puts players under a lot of pressure and is prone to very fast game play. 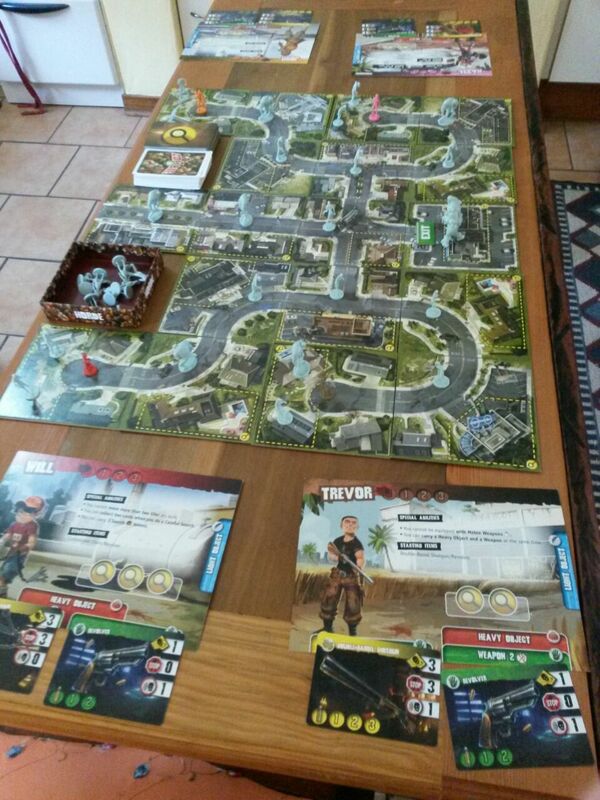 It is a co-operative game where players have a choice of four action points for every turn. The board of the game is modular, meaning that it is made up of 32 double-sided tiles that are placed together in order to create a new map for every round. Every round or chapter in the campaign is 15 minutes long and is tracked through a sound track, which comes on a CD with the game. When the game is first opened, it is a bit overwhelming. The number of pieces and cards that the game has makes it seem a lot more complex than it actually is. To put it into perspective, there are 99 zombie models within the game. Those are enough zombies to scare anyone! To start playing the game, I really recommend sorting out the pieces and cards. This will make things a lot easier to find in the frantic panic whilst you are playing the game. Once you have that sorted, you should decide whether or not you want to play the game’s campaign mode. The campaign mode is really fantastic, not only because it teaches you how to play the game, but there is also a narrative that you can follow whilst playing. Either way, you need to set up the board so that it makes sense (i.e. the streets connect properly). As mentioned above, the board comes in 32 double-sided tiles. You can place these tiles to make your own custom map, or you can place the tiles as the campaign states. The map becomes very big, so you will need a large surface to play on. Once you have the map set out, you need to place zombies and other quest items. Again, you can do this the way you see fit, or you can follow the campaign’s instructions. Once the map is set, with every zombie and item that you require, you can start to think about which character you’d like to play as. Every character in the game is unique and has their own special abilities, as well as their own special weapons. Some characters are better at ranged weapons, whilst others prefer melee. Some have less health, but compensate by doing a lot of damage to zombies. My personal favourite is Hazel. She is like a medic within the game – she has an extra inventory slot for a defibrillator or med kit to heal other players. 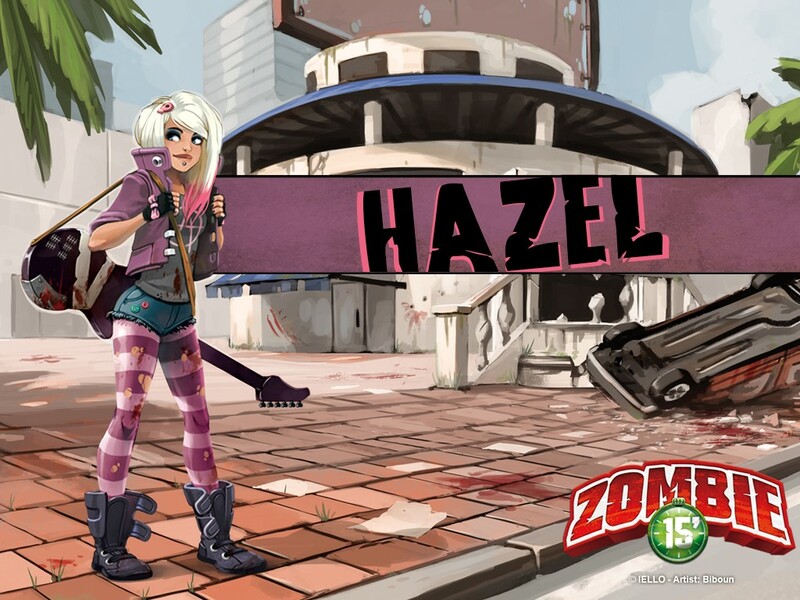 Plus, she starts off the game with an amazing guitar that is perfect for making melodies whilst bashing in a zombie’s brain. There are eight characters to pick from and each play such a different role within the game. It’s always important to pick your character carefully, as you might have to be the one to carry your team to the end of the round. Move. To move from one tile to another or inside/outside a building will cost one action point. Fight. Players can use their weapons to fight off zombies. These weapons can be your starting weapons, or weapons that you find inside buildings. Once you have fought a zombie, remove it from the board. Search. 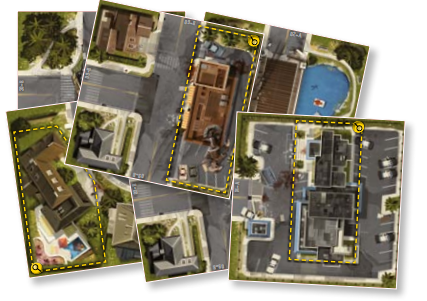 When players are inside a building marked with a yellow border, they are able to search. When the players search, they pick up the first three cards from the Search deck. In this deck there are weapons and other items, but there are also zombies. Players need to be careful that they don’t go looking for a med kit and find a zombie instead! Pick Up. Players are able to pick up quest items like keys in order to get through the map. Use. Here, the player is able to use an item that they have either found or purchased. Players take turns within the game, with each turn, they can do four actions. Players do not skip a turn unless they have been knocked down by a zombie. The turns carry on until the players have finished the round or have been defeated. Every round of the game is different and customizable. Every chapter within the campaign has a different objective for the players, which makes the game really diverse. Once you are ready, turn on the soundtrack and begin playing immediately. You have 15 minutes, if you don’t finish the round by the end of the sound track, you lose. Every time I play Zombie 15, I feel the need to take a Xanax straight after. The game is so adrenaline-pumping and it always make the noise level in the room escalate tenfold. Whilst this can be a good thing, and whilst it makes people feel super immersed within the game, I always find that players tend to focus so much on the objective of the game, as well as going fast, that sometimes they miss the mechanics of the game. I’m not saying that people tend to cheat intentionally, but I think that it’s really easy to miss out on one of the rules, or miscount your action points whilst you’re trying to go as fast as you can and also not die. I also found that at the end of every round, the admin of setting up the next chapter will take quite a while, which can be a bit frustrating because there are so many pieces and so many tiles that it sometimes feels as though you set up for five minutes to play for less than 15. Whilst I think that the setup is definitely worth the time that you play, I think it can become a bit annoying. Having said this, I really do think that Zombie 15 is such a unique game in the way that it plays. It always offers a new way to play the game, and there is never a time where you think “this is taking forever” because you are so immersed in the game and trying to sort out what you want to do in your turn before it comes. I have not yet played Zombie 15 and felt a sense of redundancy or felt like I’ve “been there, done that, killed the zombie”. I think that if you are into a survivalist, zombie themed game that is co-operative then this is something that you HAVE to try. If you hate finicky game bits and you can’t deal with loudness or people becoming very intense and passionate, then maybe you should play with fewer players. I think Zombie 15 makes for a really great party game and it forces people to interact and get to know how others think and strategize. If there was anything that I could change about the game, it would be the lack of space and bags that are given to you within the box – there’s just not enough. In fact, I think what would be really interesting would be to try and digitize some of the resources that the player needs to keep track of (maybe a companion app with the board game could be an option). 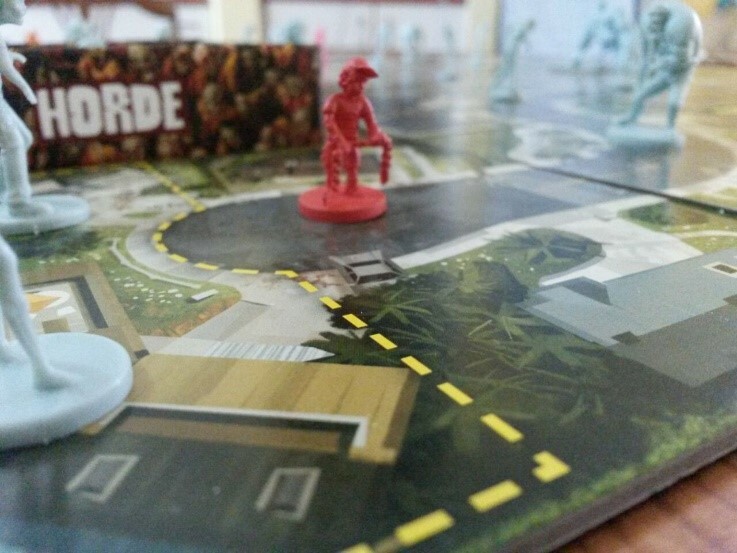 I would love to see more board games make use of soundtracks, I think that it makes the gameplay so much more immersive and I think that it is something that really makes Zombie 15 stand out. I would also love to see more co-op games that follow a campaign and contain some kind of a narrative that all the players feel as though they are a part of. I think this is something that makes Zombie 15 a really special game to play through. 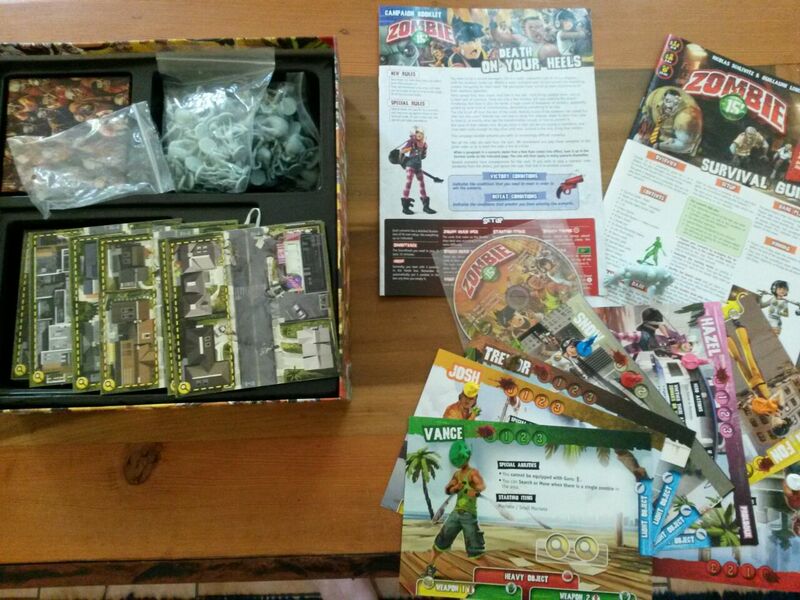 Zombie 15 is a game that every avid board gamer needs to try out. The sound track is such a clever way to substitute for a timer and what makes it better is that the music gets more intense as you get closer to the 15-minute mark. The tension within the game is unreal – it really urges players to communicate effectively. The game has such a nice balance between risk and reward which is implemented whenever the players Search. The fact that the map is almost infinitely customizable makes the game super replayable, you’ll never get bored of playing the same map. The character design, as well as the art in general, is really fantastic. The models are fantastic and quite durable considering they are often handled with hysterical force by players.